Notes: Apr. 1975←Jun. 1975→Jul. 1975 Vol. 36, No. 5. Incorporating Worlds of If on the cover and the publication data on the table of contents. 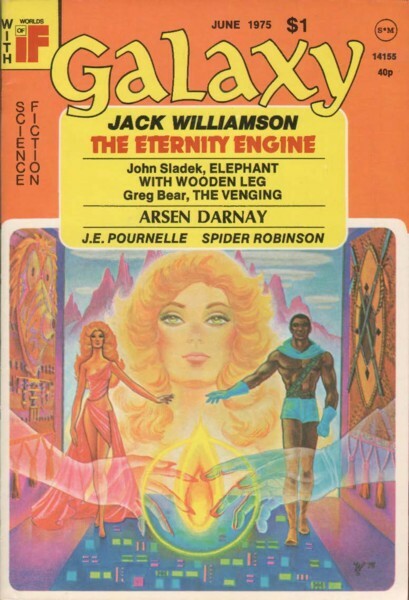 Cover illustrates "The Eternity Engine". Artists listed in table of contents: Fabian, Freff, Gaughan, and Pini. Individual works identified by signatures. Also published in the United Kingdom by Universal-Tandem Publishing Company, Ltd.